Our technician will gather some information on our patients’ dry eye symptoms using an Ocular Surface Disease Index (OSDI) questionnaire. This questionnaire will be repeated at scheduled follow-up visits to help determine the dry eye healing progress. Our North San Jose eye doctor will examine the eye lids and ocular surface to determine if the Dry Eye Disease is due to an aqueous deficiency and/or an evaporative problem. A careful slit lamp examination will indicate whether there is any debris or mites (yikes!) along the eye lashes and any clogged Meibomian glands. 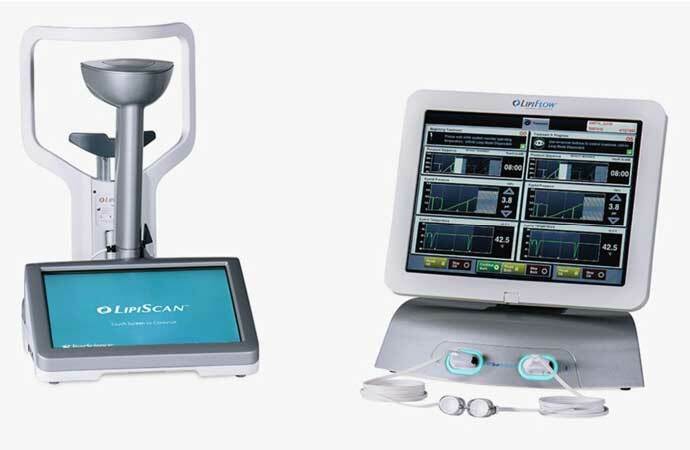 We use an instrument called Lipiscan to evaluate the integrity of the meibomian glands structures. The tear film volume and the tear film integrity is assessed through Schirmer’s test and Lissamine Green Dye test. There are various treatments for Dry Eye Disease depending on whether the condition is due to and aqueous deficiency or an evaporative problem. 86% of dry eye patients have an evaporative problem called Meibomian Gland Dysfunction. Meibomian glands are tubular structures located within your upper and lower eyelids. In a healthy eye, pressure from a blink expresses a small amount of oil from the meibomian glands which is then distributed over the ocular surface as the eye opens. The ocular surface is the foundation for ocular comfort and visual quality. Without this oily surface, the tear film will evaporative quickly leaving discomfort in the eyes. At River Oaks Family Optometry, we have the Lipiflow technology to help manage and alleviate the clogged Meibomian glands through thermal pulsation and expression. Eye drops such as Restasis and Xiidra are sometimes prescribed to treat the aqueous deficiency problem. Punctal Plugs may also help retain tears on the ocular surface. Other forms of dry eye treatments include artificial tears, steroid drops, autologous serum eye drops, amniotic membranes and scleral lenses. Since there are many products and methods of treating Dry Eye Disease, our doctors have done the research to prescribe products that have been proven to be successful in clinical studies. Each Dry Eye patient is unique, and our doctors will tailor a treatment plan accordingly at the end of the Dry Eye Evaluation. Some of the common symptoms of Dry Eye Disease are irritation, gritty, sandy, redness or foreign body sensation. Other not- so- obvious symptoms are tearing, intermittent blurry vision, eyes feeling tired or contact lens intolerance. Dry Eye patients are usually silent sufferers. We would ask our patients whether they feel their eyes. If they can feel them because their eyes are irritated, then we can help!